Wow, I can’t believe it is already time to start a new year! I have always loved the start of a new year. The chance to kick bad habits and start some new good ones, to start fresh with a clean slate. It sounds super cheesy, but there is just something magical and hopeful about the start of a new year. I think it is also the perfect time to sit back and reflect on all the events of the past year. I love to look at where I was when the year started, and where I am now. To see how I have changed and grown, the new friends I have made, and the old friends who still keep hanging around. One of my favorite parts of blogging is being able to have this little diary to look back on for the past year. 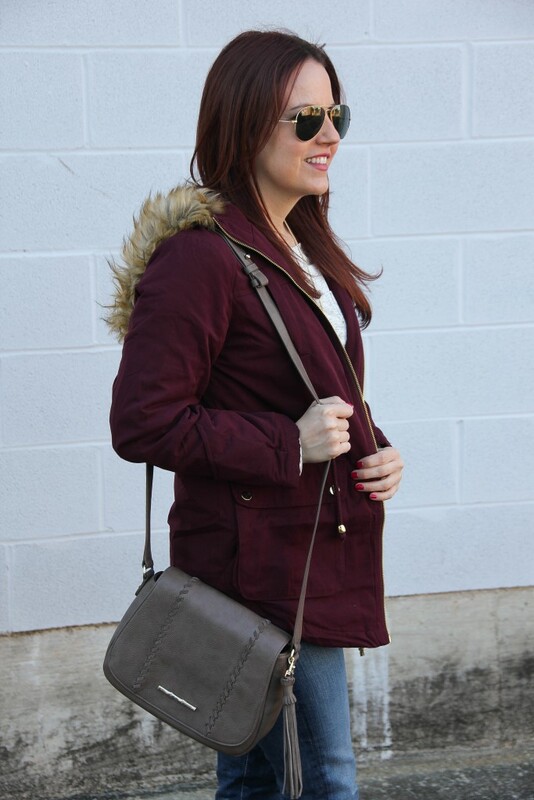 I had fun looking back at old posts that I had long forgotten, outfit photos taken on fun trips, and to see how my blog has grown over this past year. I still have moments where I can’t believe that people seriously come to my little space and read my blog. It was this crazy idea I had for something fun to try out, and I can’t believe where it has taken me. I have loved creating and running Lady in Violet, and I am so excited to continue sharing outfit inspiration with you in 2016. Thank you so much for taking the time to make my little blog apart of your life. I appreciate your support more than words can say! Now to the fun stuff! I loved putting this post together and seeing what the most popular posts were for each month. I hope you enjoy this little look back and maybe even see one of your favorites in the lineup! I hope you all have a fun and fabulous New Year’s Eve, and I wish you a year filled with love and laughter! Thanks again for following along on my fashion journey! I hope you all had an amazing Christmas and long weekend! I had so much fun hanging with family Thursday and Friday, and then being a little bit lazy this past weekend. I updated the In My closet section of my shop page over the weekend to include a few of the new items I received for Christmas. I also picked up these OTK boots yesterday! I’m super excited because they were sold out over the Black Friday/Cyber Monday sales weekend. I have been checking for them to come back in stock, and they finally did this weekend!! I cannot wait for them to arrive, and of course share some fun styling ideas with you guys. 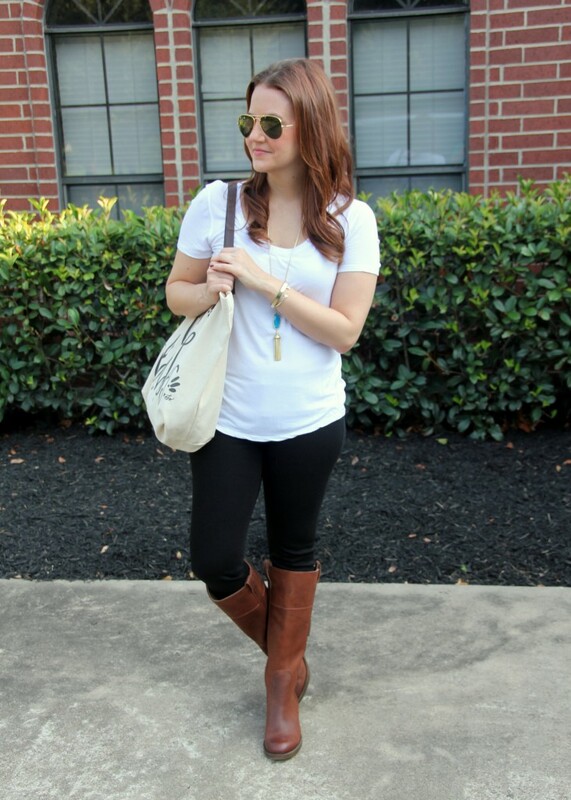 I wanted a pair with a heel because I love wearing the over the knee boots in this post, but they have a more casual vibe to them. 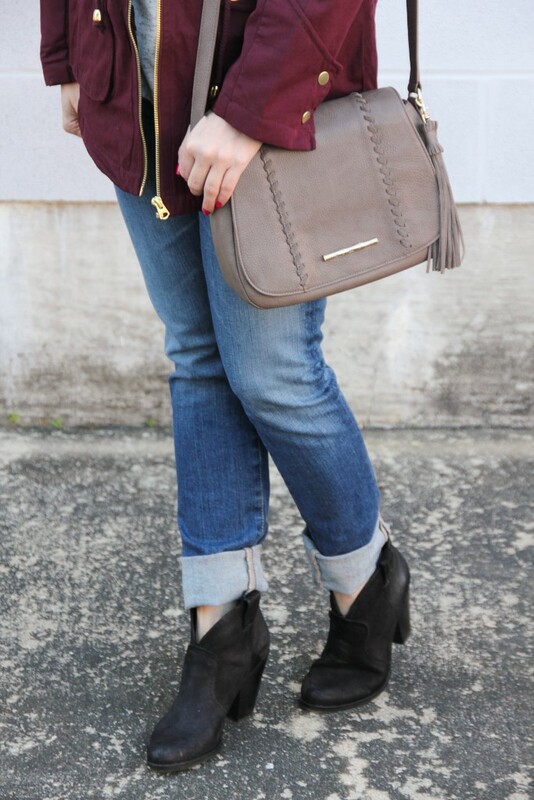 One of my favorite ways to style these flat OTK boots is with a cute dress. 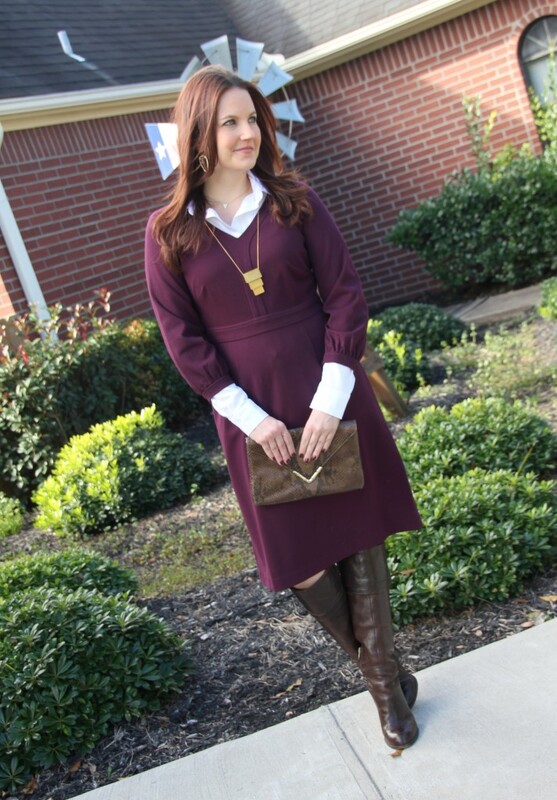 This Lush swing dress is the perfect length to pair with these boots. 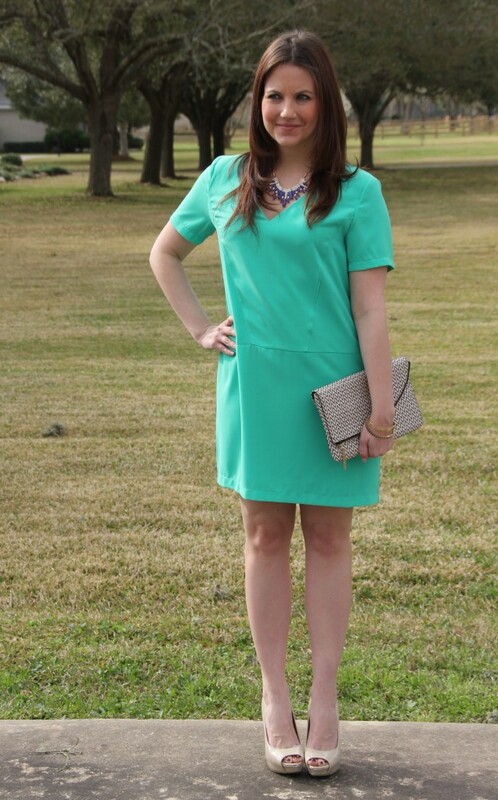 I wear this dress all the time, and I’m always looking for a new way to style it. 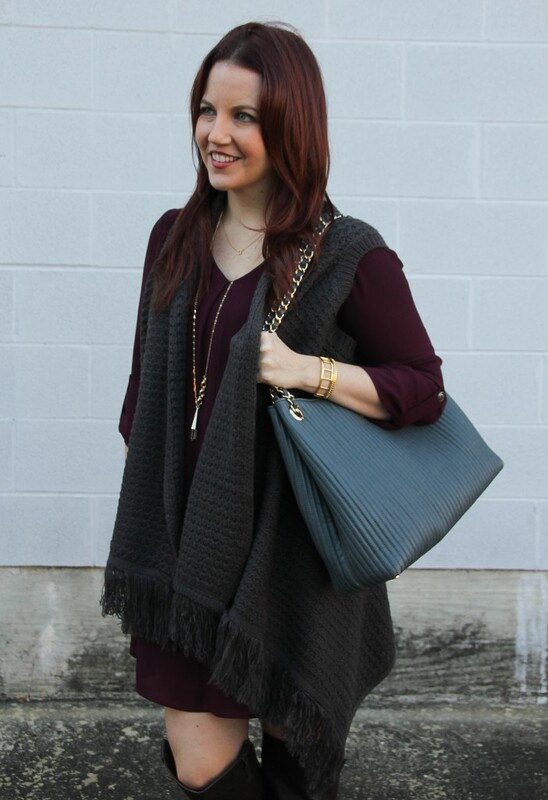 A few weeks ago, we had a nice fall day, and I decided to add on this sweater vest. I added this cozy sweater vest to my closet at the end of summer, and I have been waiting for some cooler weather to wear it. 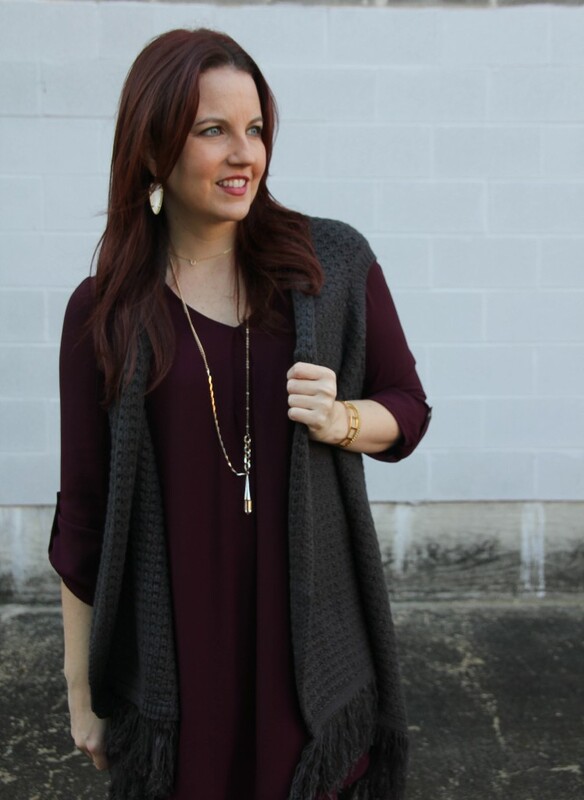 The vest and dress hang at about the same length which gives this look a cozy, but still put together feel to it. I cannot believe we are in the final week of 2015! This year definitely seemed to fly by! 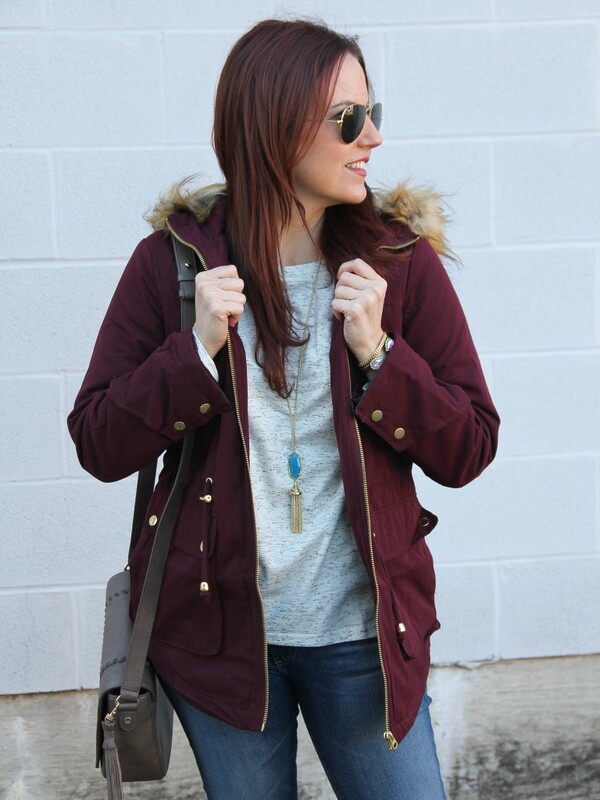 Check back Wednesday because I am sharing some of my top outfit posts of the year!! Raise your hand if the weather has completely ruined your Christmas Outfit plans!! Can I raise both hands! I had plans for layers and leather leggings and riding boots. It was going to be fabulous. Then I saw our Christmas day weather forecast, hot and rainy which in Houston also means humid! I had to head back to the outfit drawing board and start planning some new looks. 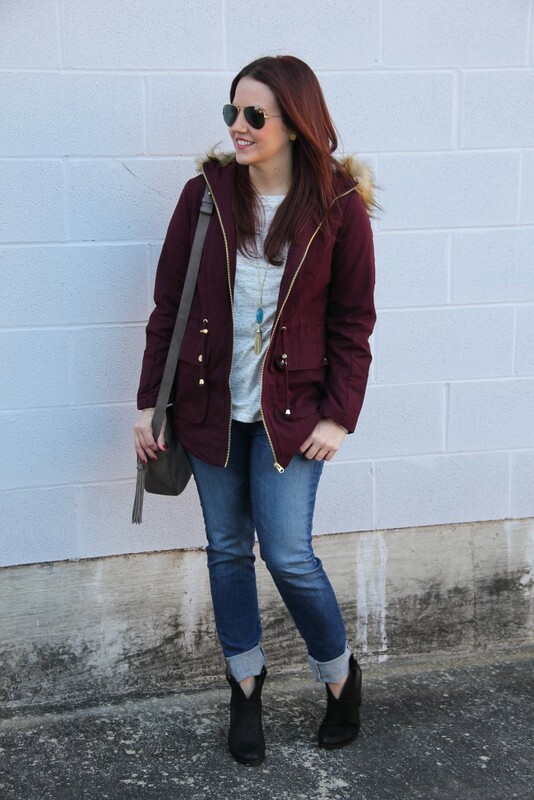 I wanted some outfit ideas that would work with the warmer temperatures, but still feel a little like Christmas. 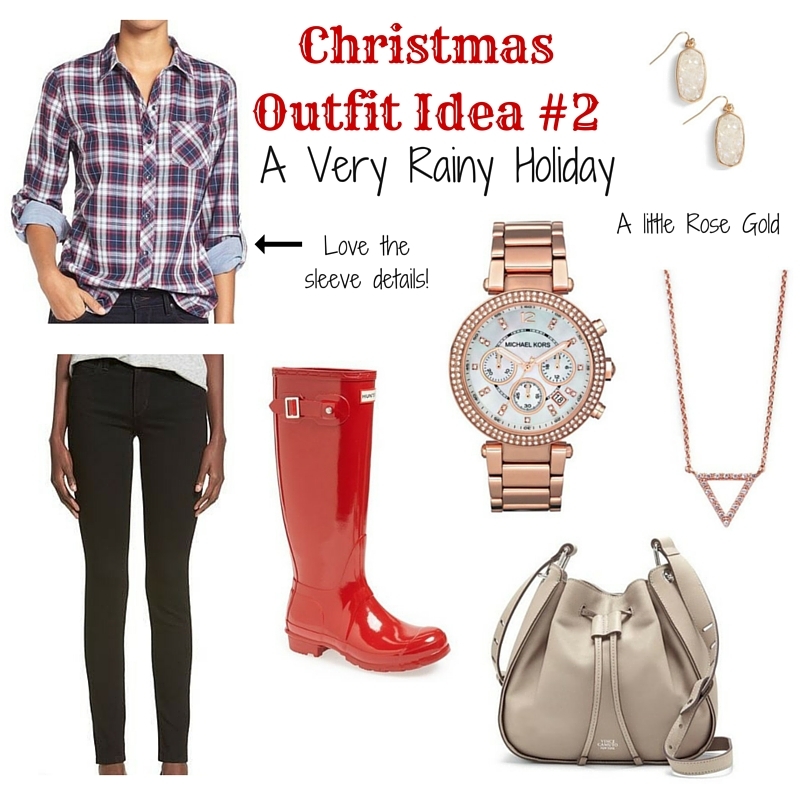 I’m sharing a few of my ideas for what to wear on Christmas this year with our warm weather. I have been searching for a great sleevless sweater and stumbled upon this one. I love the mock turtleneck design. I would pair it with some skinny jeans like these cute distressed ones and a fun red heel. The details on this shoe are gorgeous!! You have to check it out up close and personal on the store’s site. I love adding a fancy shoe to a casual look to help dress it up a little. I would also add a sparkly arm stack and long necklace to complete this look. I added in the leopard clutch that is only $40!! Doesn’t it remind you of a certain over $200 clutch that you see everywhere! I really like the red, gray, and leopard together in the outfit. 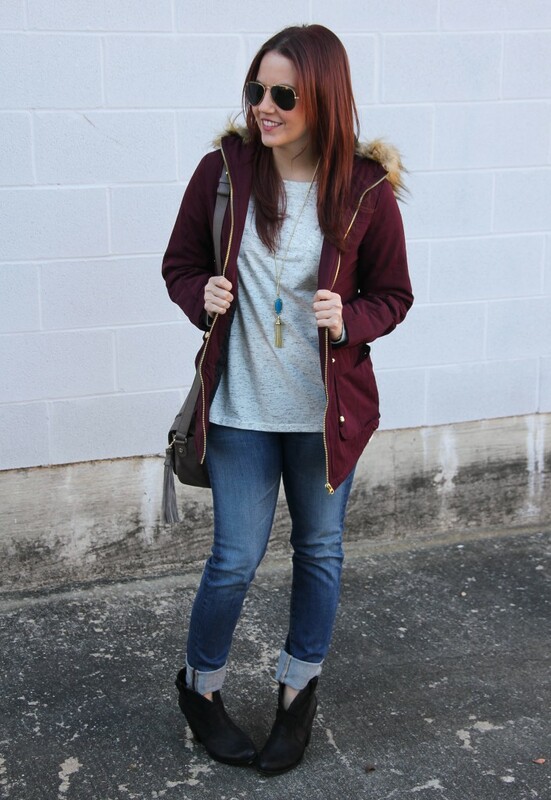 I majorly regret not picking up a pair of Hunter boots when they were on sale recently! Next time, I am definitely buying a red pair in either this glossy or matte. 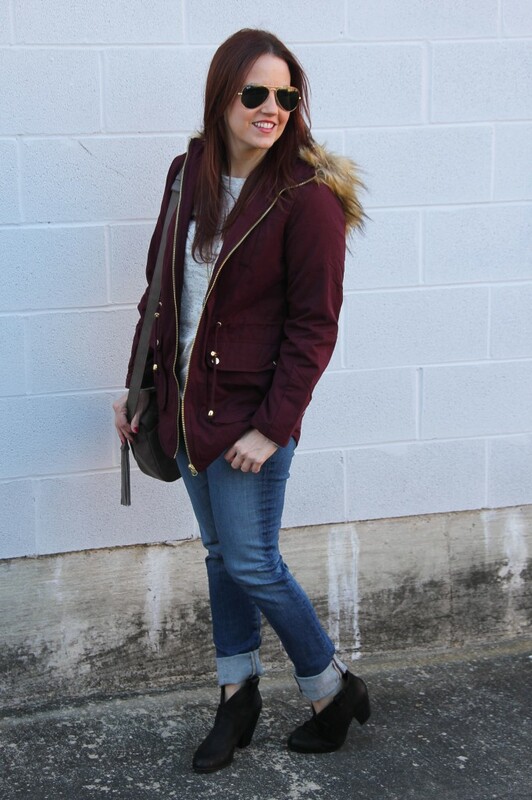 A plaid always reminds me of fall and winter seasons, so adding one to a Christmas look was perfect. I love that you can roll up the sleeves to stay cool. I also love when the sleeves have cute details on the inside. I decided to mix things up and pair this look with some rose gold jewelry. I usually mix mine in with my other gold pieces, but they are gorgeous on their own too. 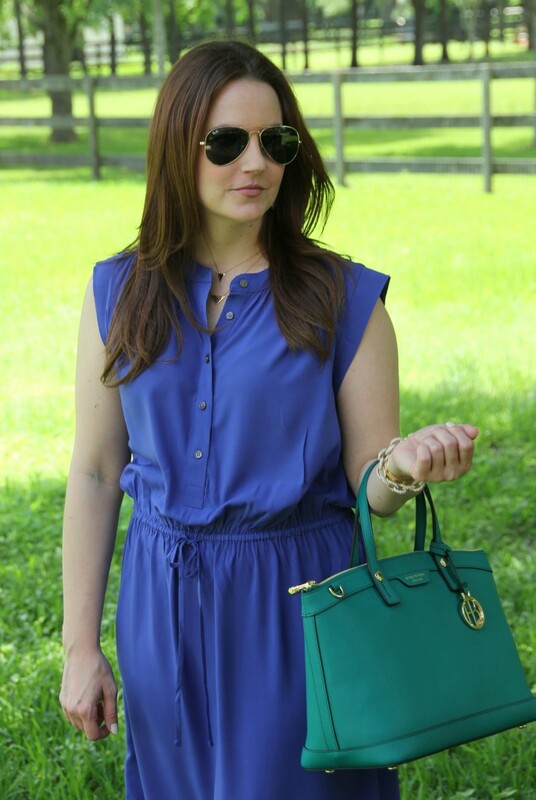 Toss on a bucket bag and you are ready for some champagne and cookies! First off, this top is on sale right now for $25!! I own it and love it! You have seen me wear it here and here, and in this same color combo here. I love this take on Christmas colors for this outfit option. 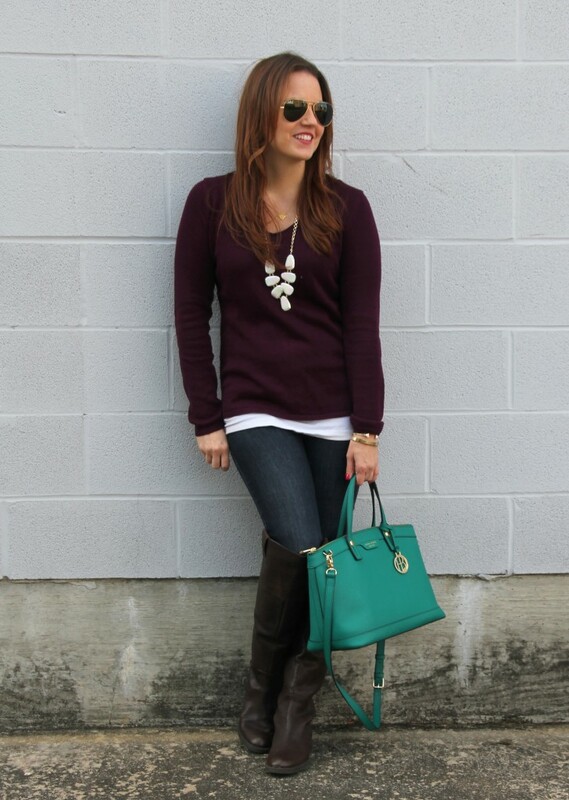 The burgundy is subtle in the necklace which is perfect to create just the right compliment to the olive top. 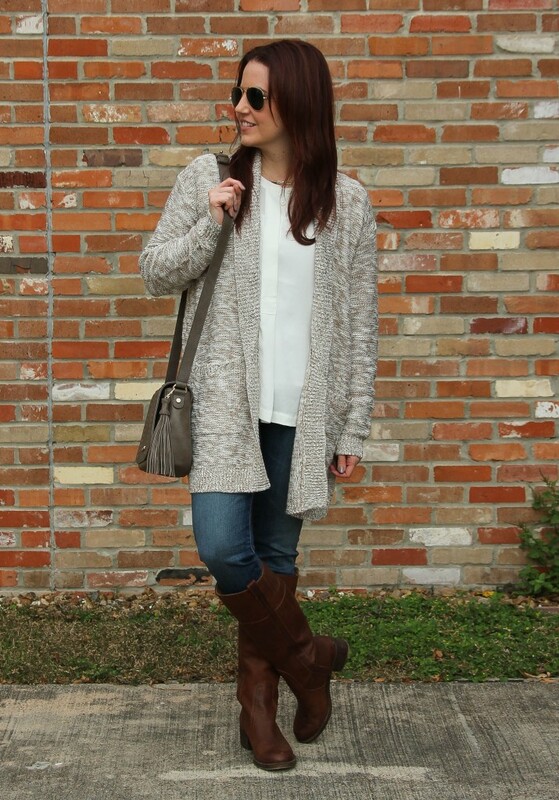 Pair this look with flats or booties to create the perfect casual look for Christmas day. 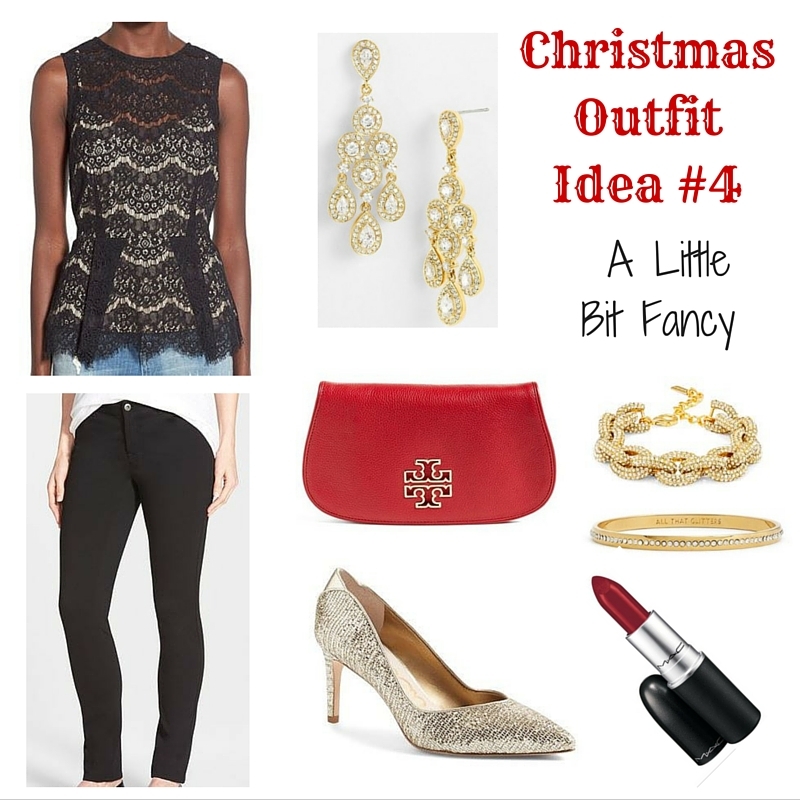 If you are looking to go a little bit more fancy for your Christmas look, consider a cute lace top. 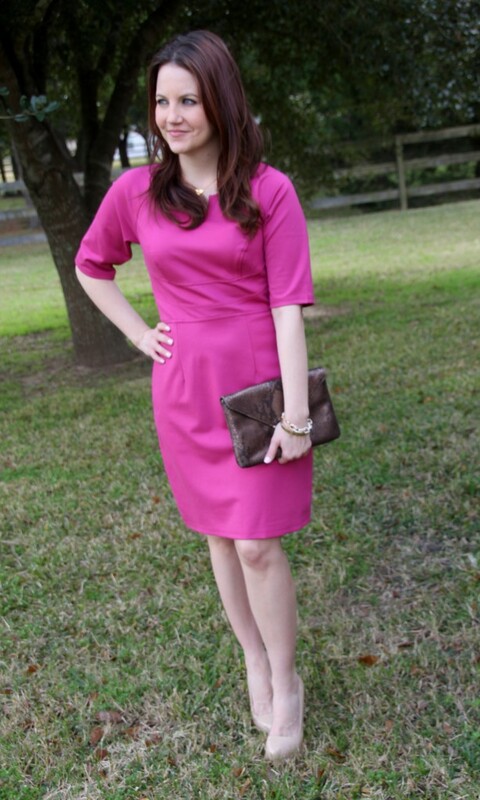 I paired this peplum gem with some skinny ponte pants and a fabulous gold sparkly heel. For lace tops, I usually skip a necklace and opt for fun earrings instead. 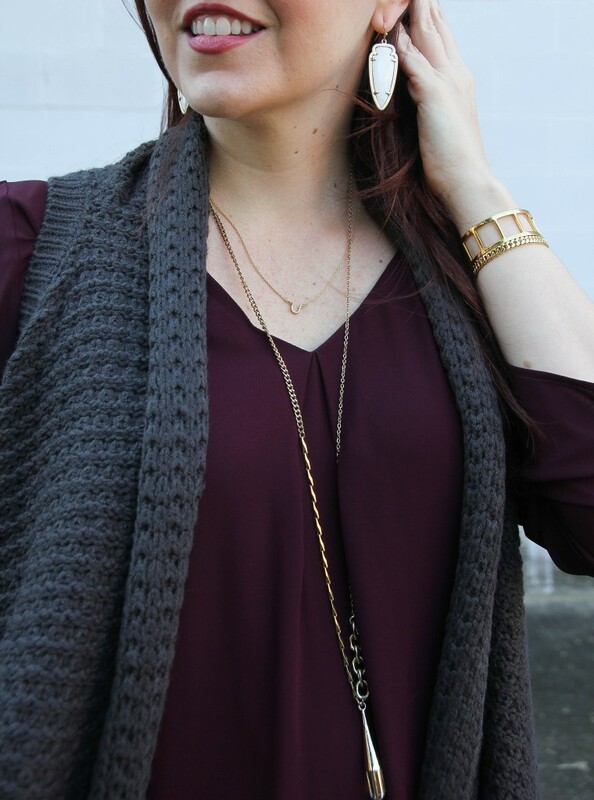 I love chandelier earrings to create a great statement look, but still compliment the lace top. I also added some of the sparkly bracelets from look one. I wanted to add a little color, so I paired with a red clutch and a fun red lip. 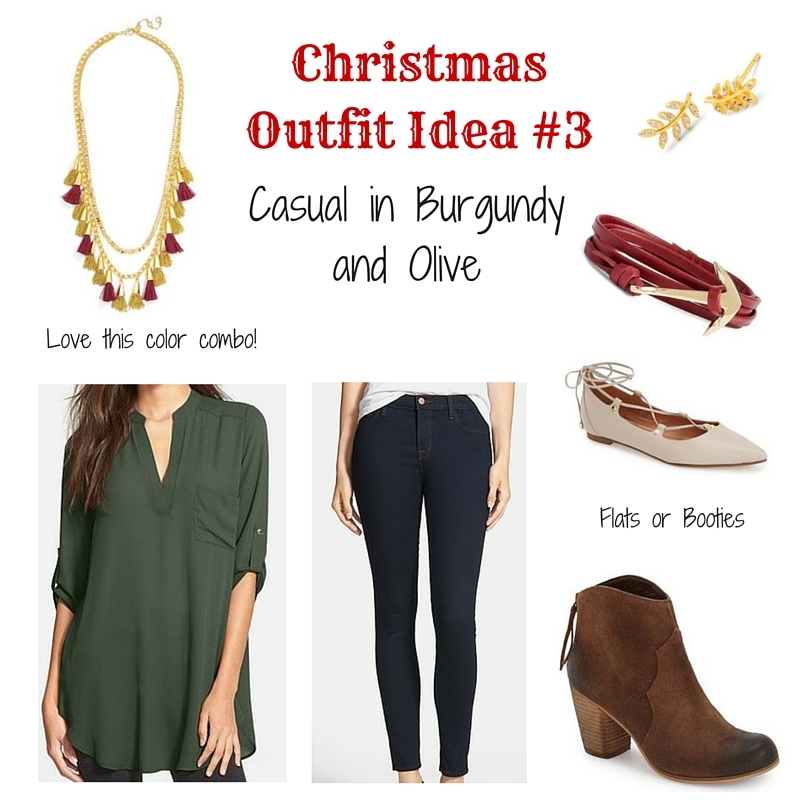 I hope these looks help you prepare a fun Christmas outfit this year! I tried to pick a few more basic items for each outfit, so you can hopefully re-create these looks with items already in your closet. Many of the items in this post are currently on sale, and some are part of a special rush delivery promotion, so you can receive them by Christmas Eve. Since I will be celebrating the Christmas holiday with family over the next few days, I won’t have a post up on Friday. I will be back with my outfit posts on Monday, and you can follow my #ootd posts on Instagram. I hope you all have a very Merry Christmas and thank you so much for taking the time to stop by Lady in Violet! Your support means so much to me! 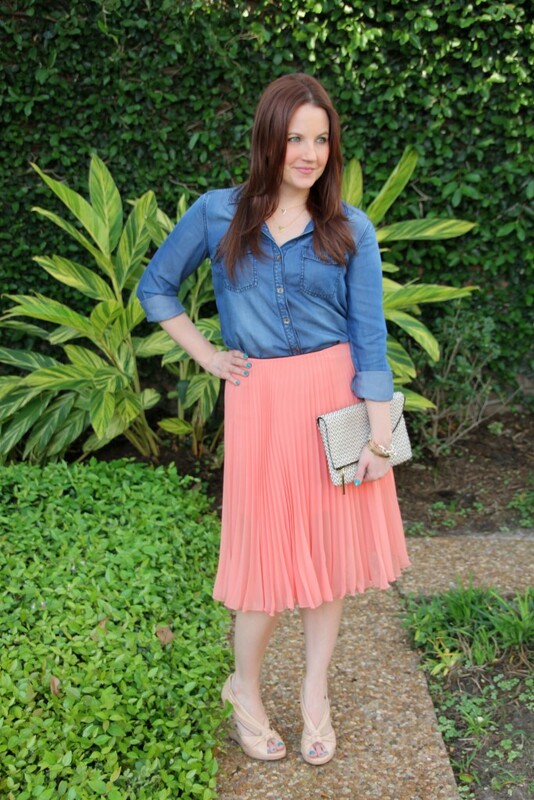 I love putting these outfits together and sharing them with ya’ll every week! Have a fabulous holiday and long weekend!